Review the Dear Colleague Letter from NSF. CARC has provided PIs on campus the ability to purchase dedicated compute and storage resources to support their research, including through the Research Storage Consortium and the Nano, Gibbs, and now Taos condo clusters. To better support this, we have formalized purchasing research computing equipment and associated support at CARC through a UNM-approved cost model. Using this model, you simply budget for the equipment/services you need in your organization in a grant, and when the award lands, you charge your grant index (in your department – generating F&A for your org), and the direct costs are transferred to CARC to pay for the hardware and services you need. To help you and you staff budget for this, we’ve assembled a simple excel calculator spreadsheet – simply punch in how much of each resource you need, and the spreadsheet will tell you and your accountant how much to budget in each line of your grant budget. This includes how much to budget for capital equipment (not subject to F&A) and how much to budget for infrastructure and computer services (subject to F&A). You simply put those numbers in your grant, and use a cost model description we can provide as the related budget justification. Help the National Science Foundation Build a Prototype that will Shape the Future Workforce! The National Science Foundation (NSF) has just launched the second part of the NSF Career Compass Challenge! Five winning concepts from Part 1 of the challenge, that can be seen here, aim to help the NSF workforce, and beyond, plot a path for changing careers or identify how to move forward in their current career path, while also facilitating continuous reskilling. For part 2 of the challenge, NSF is looking for participants to build a working prototype based off these concepts. The winning prototype will receive a one-time prize of $75,000. NSF is looking to spark the thinking of the best and brightest to co-create a tool that can be tested on a small scale, for NSF, but is intended to be useful to a broad range of employers in both the public and private sectors. Please join this exciting opportunity for the general public, research communities, private sector and other interested stakeholders to assist with building a solution that will invest in the future of the U.S. workforce! Think you might be interested in participating in Part 2? NSF will host a webinar on April 26 to share more about participation in Part 2 of the challenge. Questions? For questions about the challenge, please send email to CareerCompassChallenge@nsf.gov. The Sustained Availability of Biological Infrastructure program (SABI) supports the continued operation of extant infrastructure that will advance basic biological research. Proposals accepted anytime. NSF seeks to strengthen the future U.S. Engineering workforce by enabling the participation of all citizens through the support of research in the science of Broadening Participation in Engineering (BPE). Full proposal accepted anytime. The deadline for submission of Executive Summaries for the Homeland Security Program is April 3, 2019. Projects will be awarded in July 2019. A full description of submission requirements can be found on the BIRD Foundation website. The Algorithms for Modern Power Systems (AMPS) program will support research projects to develop the next generation of mathematical and statistical algorithms for improvement of the security, reliability, and efficiency of the modern power grid. NSF and NIH are interested in proposals that will propel understanding of the biomedical research enterprise by drawing from the scientific expertise of the science of science policy research community. The Science of Learning program supports potentially transformative basic research to advance the science of learning. The goals of the SL Program are to develop basic theoretical insights and fundamental knowledge about learning principles, processes and constraints. The National Science Foundation's (NSF's) Directorate for Education and Human Resources (EHR) wishes to notify the community of its intention to support fundamental research on science, technology, engineering and mathematics (STEM) learning for persons with disabilities, such as dyslexia or autism. In an era of globalization of research excellence, global competence is an increasingly important component of professional development for the U.S. science, technology, engineering and mathematics (STEM) workforce. Two NSF leadership-class computing resources, Blue Waters and Frontera, will be available for allocation with an award start date of April 1, 2019. NASA John Glenn Research Center (GRC) in Cleveland, Ohio, is accepting applications from full-time, qualified STEM faculty in accredited US colleges and universities, for the summer 2019 NASA Glenn Faculty Fellowship Program (NGFFP), tenured at GRC. The ten-week Fellowship starts on Monday, June 3, and concludes on Friday, August 9, 2019. The opportunity is open to mainly US citizens. Minority Serving Institutions (MSIs) and women, under-represented and underserved faculty members, as well as, early career faculty are encouraged to apply. The Translational Research Institute for Space Health (TRISH) is offering an out-of-this-world opportunity for a visiting data scientist positon located at NASA Johnson Space Center in Houston, TX. This two-year sabbatical or other career development leave allows the visiting data scientist to apply computational data analysis methods and techniques to challenges in astronaut health and performance. The selected individual will work with NASA scientists and personnel to identify trends in the health of astronauts and impact future crew health as NASA prepares to send humans to the Moon and Mars. The opportunity lasts for two years and is offered as a grant from TRISH to the visiting scientist’s home institution. Program specific details and how to apply for this opportunity can be found at: https://spacehealth.bcm.edu/prog/flex-1901/. Please email SpaceHealth-Info@bcm.edu for additional information. Mid-scale research infrastructure has been identified as critical for scientific advances in many research areas. In recognition of this scientific importance, the 2017 American Innovation and Competitiveness Act (AICA) directed NSF to "evaluate the existing and future needs, across all disciplines supported by the Foundation, for mid-scale projects" and to "develop a strategy to address the needs identified." NSF issued a Dear Colleague Letter (NSF 18-013) and received responses whose execution would require $8 billion to $10 billion in funding for projects in the $20 million to $100 million range. The ERC program supports convergent research that will lead to strong societal impact. Each ERC has interacting foundational components that go beyond the research project, including engineering workforce development at all participant stages, a culture of diversity and inclusion where all participants gain mutual benefit, and value creation within an innovation ecosystem that will outlast the lifetime of the ERC. The logical reasoning that links the proposed activities to the identified goals for each ERC should be clear. The QCIS-Faculty Fellows (QCIS-FF) program therefore aims to grow academic research capacity in the computing and information science fields to support advances in quantum computing and/or communication over the long term. Specifically, QCIS-FF seeks to support departments and schools in U.S. institutions of higher education that conduct research and teaching in computer science, information science, and/or computer engineering, with the specific goal of encouraging hiring of tenure-track and tenured faculty in quantum computing and/or communication. The Partnerships for Innovation (PFI) Program offers researchers from all disciplines of science and engineering funded by NSF the opportunity to perform translational research and technology development, catalyze partnerships and accelerate the transition of discoveries from the laboratory to the marketplace. This solicitation offers two broad tracks: 1) The Technology Translation (PFI-TT) track offers the opportunity to translate prior NSF-funded research results in any field of science or engineering into technological innovations with promising commercial potential and societal impact. 2) The Research Partnerships (PFI-RP) track seeks to achieve the same goals as the PFI-TT track by supporting instead complex, multi-faceted technology development projects that are typically beyond the scope of a single researcher or institution and require a multi-organizational, interdisciplinary, synergistic collaboration. Priority given to supplemental funding requests submitted before March 30, 2019. The NSF Directorate for Computer and Information Science and Engineering (CISE) invites grantees with active CISE awards to submit requests for Research Experiences for Undergraduates (REU) Supplemental funding, following the guidelines in the NSF REU program solicitation [see Research Experiences for Undergraduates (REU): Sites and Supplements; NSF 13-542]. The primary goal is the development of cyberinfrastructure for the geosciences (Geoinformatics). Collaboration with computational scientists and the development of public/private partnerships are strongly encouraged. This solicitation will support efforts to create the underlying knowledge base and utilities that will be integrated, over time, through EarthCube. Projects should be proposed using modern software techniques and standards that facilitate eventual integration into a geoscience-wide knowledge system. As the nation continues to expand the horizon of opportunities and possibilities through advances in science, technology, engineering and mathematics (STEM), the need for a more diverse and well-prepared STEM workforce is also expanding . The challenge of preparing citizens for the expanding workforce and the changing workplace environments calls for new innovations in STEM education . ITEST is a research and development program that supports projects to promote PreK-12 student interests and capacities to participate in the STEM and information and communications technology (ICT) workforce of the future. The ITEST program supports research on the design, development, implementation, and selective spread of innovative strategies for engaging students in technology-rich experiences that: (1) increase student awareness of STEM occupations; (2) motivate students to pursue appropriate education pathways to STEM occupations; or (3) develop disciplinary-based knowledge and practices, or promote critical thinking, reasoning skills, or communication skills needed for entering STEM workforce sectors. ITEST projects may adopt an interdisciplinary focus that includes multiple STEM disciplines, focus on a single discipline, or focus on one or more sub-disciplines. The ITEST program supports projects that provide evidence for factors, instructional designs, and practices in formal and informal learning environments that broaden participation of students from underrepresented groups in STEM fields and related education and workforce domains. Projects that actively engage business and industry partners to better ensure that PreK-12 experiences foster the knowledge and skill-sets needed for emerging STEM occupations are strongly encouraged. The Defense Sciences Office at DARPA is seeking participants for a pilot program designed to utilize modern connectivity to rapidly develop promising basic research pathways and then efficiently develop basic research proposals. DSO’s intent is to fund research proposals resulting from this pilot program. The goal is to deliver research proposals that seek to investigate innovative approaches to enable revolutionary advances in science, devices, or systems. This announcement is intended to support the DSO mission to anticipate scientific surprise. This FOA specifically seeks to support efforts addressing core ethical issues associated with research focused on the human brain and resulting from emerging technologies and advancements supported by the BRAIN Initiative. The hope is that efforts supported under this FOA might be both complementary and integrative with the transformative, breakthrough neuroscience discoveries supported through the BRAIN Initiative. The objective of the AFRL Diverse Collegiate R&D Collaboration program is to enable collaborative research partnerships between AFRL, Academia, and Industry, in areas including, but not limited to, high speed systems, turbine engines, aerospace vehicles, power and control. These technical areas are necessary for developing critical war-fighting technologies for the nation’s air, space and cyberspace forces, as well as commercial derivatives. The objective of the Structural Integrity Research Collaborations for Aircraft (SIRCA) program is to enable collaborative research partnerships between AFRL, Academia, and Industry, in areas relevant to aircraft to, structural integrity including, but not limited to, risk and reliability, metal fatigue and fracture, and composite damage modeling. Investigators are advised that the following dates – March 15 to May 15 and July 15 to Aug. 15 – should, optimally, be avoided for submissions. Funding Opportunity Number: W911NF-19-S-0001. The future vision for the U.S. Army includes teams of humans and intelligent agents working together to accomplish missions. The U.S. Army Research Laboratory (ARL) has established this new collaborative program, Strengthening Teamwork for Robust Operations in Novel Groups (STRONG), with the goal of developing the foundation for enhanced teamwork within heterogeneous human-intelligent agent teams. This collaborative venture will bring together diverse, multidisciplinary expertise to support scientific breakthroughs relevant to specific and critical scientific questions that must be addressed to enable this future vision. The Environmental Sustainability program is part of the Environmental Engineering and Sustainability cluster, which also includes 1) Environmental Engineering; and 2) Biological and Environmental Interactions of Nanoscale Materials. The Broadening Participation in Engineering (BPE) Program is a Directorate-wide initiative dedicated to supporting the development of a diverse and well-prepared engineering workforce. Across every educational juncture (e.g., elementary, secondary, and postsecondary levels), efforts to improve engineering interests, preparation, connections, experiences, and opportunities among underrepresented groups is of major importance to BPE. The Engineering Design and Systems Engineering (EDSE) program supports fundamental research into the basic processes and phenomena of engineering design and systems engineering. The program seeks proposals leading to improved understanding about how processes, organizational structure, social interactions, strategic decision making, and other factors impact success in the planning and execution of engineering design and systems engineering projects. It also supports advances pertaining to engineering design and systems engineering in areas that include, but are not limited to, decision making under uncertainty, including preference and demand modeling; problem decomposition and decision delegation; applications of reverse game theory (mechanism design); computer-aided design; design representation; system performance modeling and prediction; design optimization; uncertainty quantification; domain- or concern-specific design methods; and advanced computational techniques for supporting effective human cognition, decision making, and collaboration. Competitive proposals for novel methods will include a plan to evaluate rigorously the effectiveness and performance of the proposed approach. The Mind, Machine and Motor Nexus (M3X) program supports fundamental research at the intersection of mind, machine and motor. A distinguishing characteristic of the program is an integrated treatment of human intent, perception, and behavior in interaction with embodied and intelligent engineered systems and as mediated by motor manipulation. M3X projects should advance the holistic analysis of cognition and of embodiment as present in both human and machine elements. This work will encompass not only how mind interacts with motor function in the manipulation of machines, but also how, in turn, machine response and function may shape and influence both mind and motor function. The Air Force Office of Scientific Research (AFOSR), hereafter generally referred to as “we, us, our, or AFOSR,” manages the basic research investment for the U.S. Air Force. As a part of the Air Force Research Laboratory (AFRL), our technical experts discover, shape, and champion research within AFRL, universities, and industry laboratories to ensure the transition of research results to support U.S. Air Force needs. Using a carefully balanced research portfolio, our research managers seek to foster revolutionary scientific breakthroughs enabling the Air Force and U.S. industry to produce world-class, militarily significant, and commercially valuable products. The National Science Foundation (NSF) seeks to develop and nurture a national innovation ecosystem that builds upon fundamental research to guide the output to facilitate the application of scientific discoveries closer to the development of technologies, products and processes that benefit society. In order to maintain, strengthen and grow a national innovation ecosystem, NSF has established the Innovation Corps - National Innovation Network Teams Program (I-Corps Teams). The NSF I-Corps Teams Program purpose is to identify NSF-funded researchers who will receive additional support in the form of entrepreneurial education, mentoring and funding to accelerate innovation that can attract subsequent third-party funding. Crosscutting Activities in Materials Research (XC) coordinates and supports crosscutting activities within the Division of Materials Research (DMR) and more broadly across NSF; with emphasis on diversity and inclusion, international cooperation, and education. Activities that broadly engage the community, such as summer schools, institutes, workshops, and conferences may be supported by XC. Proposals are welcome that do not fit elsewhere at NSF that are also highly relevant for the materials research and education community. Activities that focus on broadening participation of underrepresented groups and/or diversity and inclusion are supported. The Office of the Vice President for Research is requesting 1-page concept papers for the for W.M. Keck Foundation Science and Engineering program area grant. This is a limited competition. Therefore, we are conducting an internal competition and are requiring statements of interest by 5pm on May 15, 2019 and one-page concept papers to limited@unm.edu by NOON on June 11, 2019. The Office of the Vice President for Research is requesting statements of interest followed by pre-proposals for the Fiscal Year 2020 DoD Basic Research Program for Historically Black Colleges and Universities and Minority-Serving Institutions, FOA W911NF-19-S-0009 funding opportunity. An institution may submit no more than three (3) applications. Therefore, we are conducting a two-step internal competition process and are requesting: 1) required statements of interest by noon on Monday, April 22, 2019; and 2) pre-proposals by noon on Tuesday, May 14, 2019. Full proposals must be received by the DoD no later than 4:00 p.m. Eastern Time on July 15, 2019. The Office of the Vice President for Research is requesting statements of interest followed by preproposals for the DOE Accelerated Research in Quantum Computing (ARQC) DE-FOA-0002081 funding opportunity. Only one proposal is permitted per institution as the lead institution. Therefore, we are conducting a two-step internal competition process and are requesting: 1) required statements of interest by noon on Monday, April 15, 2019; and 2) preproposals by noon on Tuesday, April 23, 2019. Required letter of intent is due to DOE on May 1, 2019. The Office of the Vice President for Research is requesting preproposals for the NSF Partnerships for Innovation (PFI) funding opportunity. Each university is permitted to submit a *single application* to the Research Partnerships (PFI-RP) track. Therefore, we are conducting an internal competition and are requesting preproposals by noon on Wednesday, May 1, 2019. The NSF deadline for full proposals to this funding cycle is July 10, 2019. The Office of the Vice President for Research is requesting preproposals for the Brain Research Foundation Scientific Innovations Award funding opportunity. This is a funding opportunity specifically for full time Associate and Full Professors working in the area of studies of brain function in health and disease. This is a limited competition. Each university is permitted to submit a *single letter of intent*. Therefore, we are conducting an internal competition and are requesting preproposals by noon on Friday, May 3, 2019. The deadline for the required letter of intent is June 25, 2019, with invited full proposals to the funder due September 24, 2019. The Office of the Vice President for Research is requesting statements of interest for the USDA NIFA HSI Education Grants Program funding opportunity. Please see the RFA for complete details: https://nifa.usda.gov/sites/default/files/rfa/FY19-HSI-Revision1.pdf. There are three grant types for the HSIs Education Grants Program, two of which are limited: Collaboration grants and Conference grants. For FY 2019, an institution may not submit more than two Collaboration and two Conference applications as a lead institution. The deadline for full proposals to the USDA for both types of limited grants is May 16, 2019. If you are interested in submitting a proposal to this program, please email a statement of interest with a tentative title, the name of the collaborating HSI (if Collaboration type), a brief project description (200 words), and names and departments/institutions of all senior personnel by noon, Friday, April 5, 2019 to limited@unm.edu with the subject line indicating: NIFA HSI Collaboration – OR – NIFA HSI Conference - your name. Based on the e-mail responses received, the Limited Competitions Management Team may announce a call for preproposals. If you are interested in submitting a proposal to this program, please email a statement of interest with a tentative title, a brief project description (200 words), and names and departments of all senior personnel by noon, Wednesday, April 3, 2019 to limited@unm.edu with the subject line indicating: NIFA WAMS - your name. Based on the e-mail responses received, the Limited Competitions Management Team may announce a call for preproposals. The Office of the Vice President for Research is requesting statements of interest followed by preproposals for the Limited Competition: NSF Science and Technology Centers: Integrative Partnerships (NSF 19-567) funding opportunity. Only three proposal are permitted per organization as the lead institution. A PI or co-PI on one proposal in this competition may not be a participant in another STC proposal under review in the same competition. Therefore, we are conducting a two-step internal competition process and are requesting: 1) statements of interest by noon on Tuesday, April 2, 2019; and 2) preproposals by noon on Wednesday, April 17, 2019. Required preliminary proposals are due to NSF on June 25, 2019. The Office of the Vice President for Research is requesting preproposals for the NSF Materials Innovation Platform (NSF 19-526) funding opportunity. This is a limited competition. Only one proposal is permitted per organization as lead institution, and an individual may participate in only one proposal as PI, co-PI, or Senior Personnel. Therefore, we are conducting an internal competition and are requesting preproposals by noon on Friday, April 5, 2019. The NSF deadline for full proposals to the agency due April 26, 2019. The Office of the Vice President for Research is requesting preproposals for the NSF Improving Undergraduate STEM Education: Computing in Undergraduate Education funding opportunity. This is a limited competition and UNM is limited to participate on two proposals as the lead and/or partner. Therefore, we are conducting an internal competition and are requesting preproposals by noon on March 22, 2019. The UNM Office of the Vice President for Research is requesting preproposals for the NSF Faculty Development in the Space Sciences (FDSS) funding opportunity. We are requesting preproposals by noon on March 20, 2019. Nominations are requested in January of each year from the presidents of 50 universities selected by the Advisory Panel. Up to two nominations may be made by the president of each institution. Recognizing that expanding UNM’s research enterprise requires new interdisciplinary collaborations, the Office of the VP for Research is offering to support Interdisciplinary Research Discussion Groups. These discussion groups will bring together faculty members to combine their diverse expertise and perspectives to generate new ideas that address interdisciplinary questions and areas of scholarship in which UNM could expand its national reputation. To get the latest information from the OVPR subscribe to the PI-LISTSERVE here. Amount of supplemental funding: The total amount of funding requested must not exceed $55,000 per student per six-month period. The Deadline is May 1st, for FY19 funding consideration. Submissions received after May 1st, will be considered for FY19 if funds are available, or, reviewed for future FY20 support. The NPS is interested in research initiatives that offer potential for advancement and improvement in the NPS core mission of graduate education and research. This is an announcement to declare NPS’s solicitation in competitive funding of meritorious research initiatives across a spectrum of science and engineering, business, politics and public/foreign policy, operational and information sciences, and interdisciplinary disciplines that are in line with the NPS’s graduate education and research mission. The OIRB welcomes the opportunity to visit your department during a faculty meeting, student gathering or class to provide information and answer questions about the IRB review process. Please see the attached flyer and contact us to reserve a date for us to visit your class or meeting this fall. 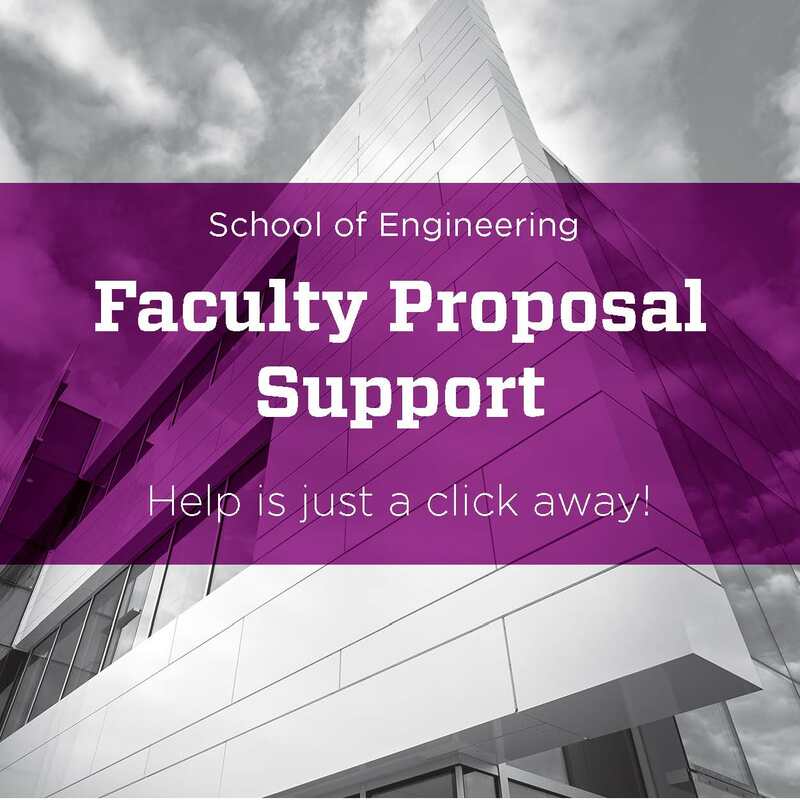 Proposal Support services-Your Faculty Research Support Officer not only assists with Budgets and Cayuse records, but can assist you with a many aspects of your proposal. From the Broader Impact Statement, Biosketch review and formatting, to Editing and Proofreading of the Narrative Sections. See the full listing of services here.